This is a listing for a framed painting. It is on what appears to be papyrus.. 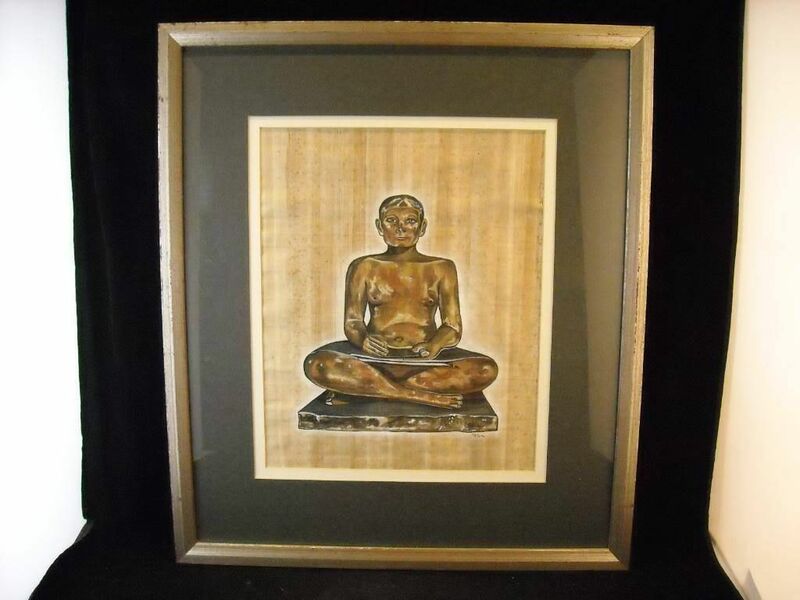 It is a of a seated figure with a scroll, it is signed "Tatam", it is double matted, gray with wood frame painted metallic silver, glass. The back glazing paper has some dents. Measurements are 16 1/2"x19"x5/8". Likely inspired by the actual Egyptian scribe at the Louvre.